Are you a thrifty entrepreneur? It’s okay to admit it. A big part of success in business (as well as conquering our personal financial demons) is keeping a close eye on the purse strings. That’s not to say you’re averse to spending. Far from it. We all know that there’s a world of difference between being thrifty and being miserly in both our home finances and our business spending. What’s the point of having capital if not to spend at least some of it, right? But you’re very careful about where your money goes and how much you spend. It’s an uncertain economy after all, and the next financial crisis could be just around the corner for all we know. The trick, then, lies in spending judiciously while keeping some of our capital close to hand to ease liquidity… As well as keeping some squirrelled away should that rainy day come. Lots of businesses that have a light or heavy manufacturing component utilise lasers for more refined and efficient cutting. For years, manufacturers have been able to use lasers for more precise cutting, scoring, etching and engraving and micro drilling. They allow for far greater precision than using solid materials while also far less resource intensive. 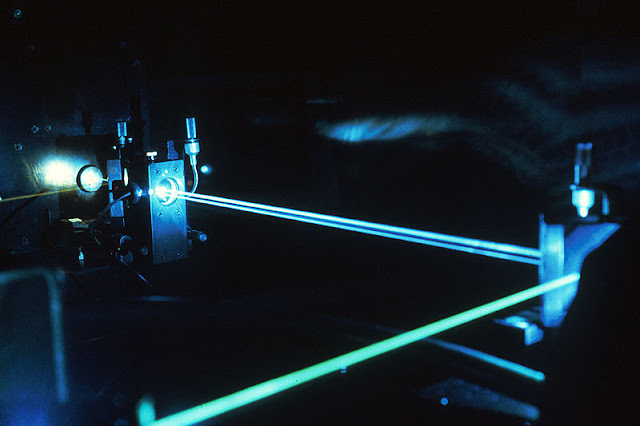 As laser technologies have grown more widely used they have developed to become more energy efficient. For example, the current generation of direct diode lasers offer far greater energy efficiency while still retaining the versatility of their cousins the C02 laser and the fiber laser. If your business values to-the-micron precision in its craftsmanship but also wants to reduce its monthly overheads, investing in cutting edge (pun intended) laser technologies is a great place to start. How much of your commerce is done over the phone or instore, compared to your online turnover. Most businesses who offer an ecommerce component alongside their brick and mortar presences (bricks and clicks) will know that online sales account for a healthy proportion of their income. As more and more of us turn to our mobile devices to facilitate transactions, this proportion is only going to grow. If only there were some way you could increase your conversion rate while also reducing the pressure on your front line customer services employees… Well, there is… In the form of chatbots. Many businesses now incorporate a chatbot in their landing page to facilitate simple customer service transactions or point customers in the right direction. Chatbots are great as they can increase your landing conversion rate by as much as 100% while allowing your front line employees to operate in a more time efficient and value added manner; concentrating on quality of service without having to deal with nuisance calls and time wasters. As chatbots grow more sophisticated and ubiquitous, they will only make your business more efficient and cost effective. They’re an affordable technology that’s easy to incorporate into your online presence. Remember in the early ‘90s when films like Lawnmower Man had us believing that we were on the verge of a virtual reality revolution? Well, turns out we were wrong. Nonetheless, Virtual and Augmented Reality technologies are becoming increasingly commonplace in the world of business. Only the most forward facing of entrepreneurs will likely recognize the benefits of incorporating these technologies into their operations but you may be surprised at how versatile they are and how widespread their use will soon become. Many auto manufacturers, for example are making massive reductions in overheads with virtual showrooms which give customers all the information they need about the experience of their new car without ever actually sitting in it. But the applications don’t stop there. Augmented Reality could be used to alert customers to exclusive offers available only to them by parsing your store’s inventory through an AR app (like your own personal version of Pokemon Go!). These technologies could even be used for online recruitment, training and conferencing. Just think of the implications this may have for your HR operations. There are many, many reasons why more and more businesses are incorporating 3D printing into their development and manufacturing operations. For starters, 3D printing is extraordinarily versatile, enabling businesses to create large or tiny components for on-site assembly. It enables businesses to better centralize their production and ensure far greater quality control. They also allow for an extraordinarily degree of customization. As bespoke solutions become a greater source of revenue for businesses, 3D printing is a great way to ensure the patronage and loyalty of customers for whom mass manufactured solutions just won’t cut it. There’s no doubt that consumers are becoming increasingly wary of leaving their homes, especially when goods can be brought to them at a reduced cost to their high street counterparts. This usually means extensive overheads and subcontracting couriers but recent developments in drone technology are showing that the future of home delivery may well be automated. If your business deals in any way with direct-to-consumer logistics then you may well find yourself really embracing drone technology in the near future. If it’s good enough for the likes of Amazon and UPS, it’s good enough for your enterprise.